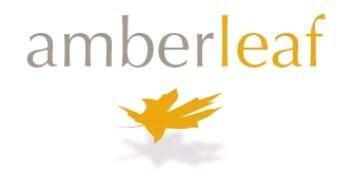 AmberLeaf helps you release the power of your information assets. We combine Customer Experience Strategy, Service Automation and Data & Insight to deliver Zendesk solutions to support your long-term goals and deliver outstanding ROI. Customer Experience Strategy aligns corporate objectives with customer experience goals by defining the direction, roadmap, ROI and impact on the organization. Zendesk enabled Service Automation implements Omni-channel solutions and integrates services to deliver a holistic customer experience across all channels. Data & insights enables our clients to create one view of the customer through master data management and provide analytical tools to research customer trends. AmberLeaf Overview AmberLeaf specializes in quickly breaking down the barriers that stand between your customer interactions, the data collected about your customers and the actions that drive the manner in which you service, sell and market to them. Very simply, we offer consulting and implementation services to help you address all interactions you have with your customers. Most importantly, AmberLeaf understands your urgency to reap these benefits. Through a combination of innovative technologies, creative approaches, and uniquely experienced professionals, AmberLeaf drives results, turning your customer interactions into actionable business strategies and tactics. At AmberLeaf, we believe that organizations will derive competitive value from the capture, analysis, and synthesis of their information, especially their customer information – however that company describes their customers (contacts, business, customers, members, donators, etc.). In support of this belief, we assist our clients with their customer service center solutions in the ways described in the following sections. Service Automation AmberLeaf makes Contact Centers more effective. We examine new techniques and initiatives for agent productivity, customer effort, and customer satisfaction. We also evaluate supporting tools that optimize profitability and productivity. Our Service Automation offering helps identify areas for growth, we evaluate the effectiveness of your customer experience. Automating Service solutions will provide real time insights into your customer experience external and internal operations. Automating your service solutions will help you identify targeted opportunities to reduce contact center operational costs and opportunities to improve customer experience. Sales and Marketing Optimization AmberLeaf's Sales Optimization solution focuses on empowering the customer facing employees with the right tools, information, and tactics in order to meet and exceed quotas and goals. Working with large and small organizations, AmberLeaf is helping these functions find the right mix of technology, processes, and new sales strategies to improve but not overburden an already resource constrained resource pool. This part of our business includes Sales Force Automation, Sales and Service Performance Management, Incentive Management, Pricing, B-to-B Segmentation and Value. Sales and Marketing Strategy In order to provide a holistic set of Sales and Marketing services to our clients, AmberLeaf helps our clients define their business strategies and create yearly or multi-year plans to launch or re-define their go to market strategies. Whether you have questions regarding branding, contact planning, offer relevancy, personalization, CRM, multi-channel tactics, coordination, and integration, or marketing sales and technology, AmberLeaf can help you plan and execute new and revised strategies. Database Marketing AmberLeaf's Database Marketing services are aimed at those organizations who are trying to improve their ability to implement closed loop marketing, develop a single view of their customer, leverage advanced analytics, improve their marketing skills, or transform their marketing programs. AmberLeaf defines the closed loop marketing process as Strategic Planning, Customer Analysis, Marketing Execution, and Performance Evaluation. By focusing on all aspects of the marketing process, AmberLeaf can provide a full range of services to meet the needs of the marketing function across a variety of industries. Business Intelligence and Master Data Management Implementations Business Intelligence began as a tactical initiative to take reporting out of the hands of IT and put it into the hands of the business. Business Intelligence has steadily increased its strategic importance in the last decade. Many organizations are now trying to make the transition to a fact-based, decision-making environment where investment decisions are made based on the data. Organizational Change No other functions in the organization need to respond to the changing market place as fast and as often as Sales, Marketing, Service, and IT. Competitive pressures are constantly requiring organizations to reinvent their message and approach to the market place. Inevitably, these changes require technology shifts, enhancements, and new applications. AmberLeaf firmly believes that initiatives will falter and investment will be wasted without the leadership, support, and adoption from people. Our Organizational Change helps companies cope with transformations at the people level.